A newsletter is a mail sent to a list of subscribers - a great way to let interested people know what you are up to. The key to create a good newsletter group is of course to find your subscribers. 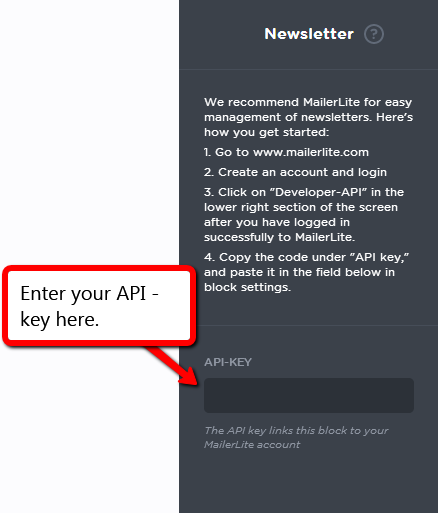 By using MailerLite, a newsletter service that has been included in PagePicnic, you can easily add a subscription field to your website. Firstly, add the Newsletter block to your website. 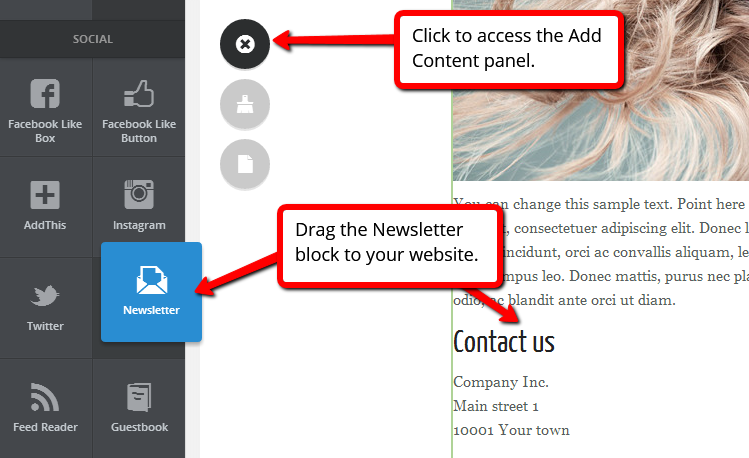 You will get the required settings when you drag out the block “newsletter” to your page.